goals, students get advice regarding training opportunities and career advancement. These supports work two-fold, benefiting students seeking employment and financial stability and employers seeking skilled and stable employees, thus to reduce turnover costs and improve workforce quality. “We are extremely thankful for the opportunity to expand the Bridges to Career Opportunities program to include a focus on retention services supporting graduates of the Training Fund’s occupational training programs as they transition successfully into new employment and navigate challenges they may face,” said Cheryl Feldman, executive director of the Training Fund. 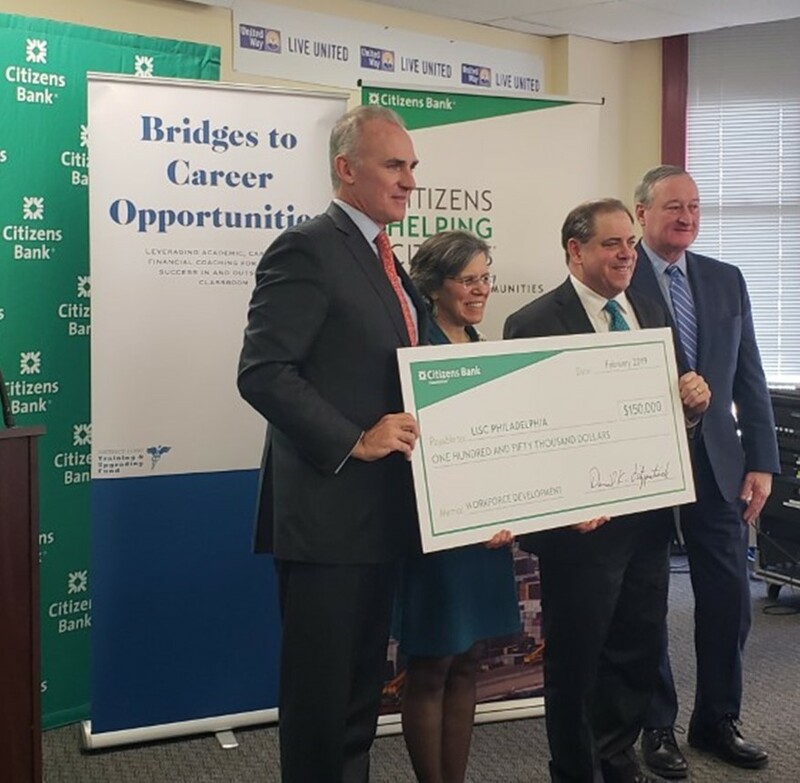 “It is vital that we work together to ensure that people have the skills necessary to reach their potential in the economy of tomorrow,” said Bruce Van Saun, CEO and Chairman of Citizens Financial Group. receive scholarships to train for Nursing Assistant certification, placing them on a career pathway towards Registered Nursing (RN) and beyond. “This retention idea is absolutely fantastic,” said Erika Shearlds-Hill, the Training Fund’s new Retention Specialist, a grant-funded position. “We’re the listening ear. That is so crucial. Retention allows for barriers to be dropped and conversations to begin,” responding to concerns and hopes of employers and students. Shearlds-Hill sees her job as cementing relationships with longstanding Training Fund employer partners and cultivating new ones.